Could Disclosure Be the Way Forward for Voting Rights? Even as Congressional efforts to recast the Voting Rights Act stall, two leading experts are proposing a different approach that could breathe new life into the Act after the Shelby County case. [T]he easiest place to start is by compelling states to disclose alterations of voting rules or practices, as they will affect the conduct of federal elections … Congress can command that for all federal elections there be a reporting of all changes made to election practice within a fixed period of any federal election to a federal agency… Such disclosure would have to identify the changed practice and the reason for the change. The disclosure could further require a “voting impact statement,” borrowed from the environmental impact requirements under the National Environmental Policy Act. The impact statement need not be elaborate, only a statement of the likely anticipated effect on access to the ballot and any known anticipated impact on minority voters in particular. To this could be added an important regulatory innovation: the requirement that a responsible official sign under oath that the submitted information is true. Finally, the receiving federal agency would be charged with immediate internet posting of the relevant submissions. The disclosure would then set the template for either DOJ challenge or private party challenge, with the disclosure serving as the prima facie evidentiary basis. This result both facilitates prosecution and review, and forces transparency and accountability on administrative conduct prompted by partisan or other malevolent objectives. 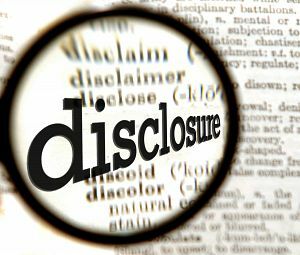 Issacharoff’s disclosure proposal misses manipulation of local election rules for offices such as sheriff, county commissioner, city council, or school board member. These offices are often nonpartisan and escape national attention, but they make important decisions related to schools, criminal justice, health and family services, and economic opportunity that directly affect our daily lives. Despite these differences, however, the general agreement on the need for better data and disclosure is an important one for the field. It will be interesting to see if these ideas gain any momentum going forward. Be the first to comment on "Could Disclosure Be the Way Forward for Voting Rights?"